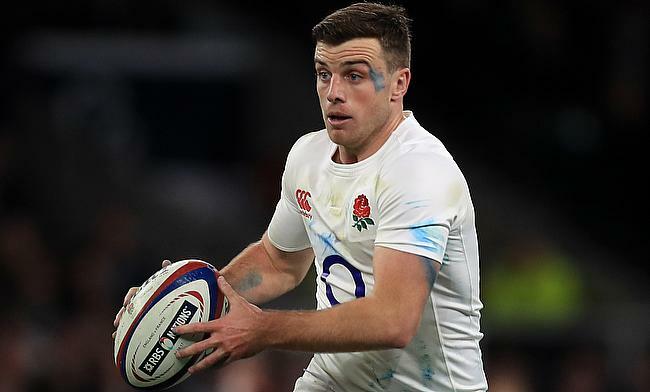 A late converted try from George Ford proved decisive for England as they snatched a 38-38 draw against Scotland in their Calcutta Cup encounter at Twickenham Stadium on Saturday. The decisive moment came after Scotland fought back from being 31-0 down to claim 38 unanswered points stunning the England crowd but were denied a deserving win following Ford's effort in the added minutes. As a result, England finish the Six Nations 2019 at second place with 18 points with Wales going to win the Grand Slam following their win over Ireland while Scotland end their campaign at fifth place. In a terrific first quarter, England got off to a promising start when Henry Slade fed Jack Nowell for the opening try in the second minute and Owen Farrell followed with the conversion to make it 7-0. The momentum continued to be on the home side when flanker Tom Curry dived in the corner for the second try in the 9th minute. The second try came despite England suffered an injury setback with Ben Moon replaced by Ellis Genge, whose combination with Kyle Sinckler set up England's third try with Joe Launchbury going over the line 13th minute and Farrell's conversion once again took the scoreline 21-0. There was no respite whatsoever for the Dark Blues as England claimed their fourth try when Slade raced through to feed Jonny May as he dived over in the 29th minute. Farrell added a penalty and a conversion on either side to make it 31-0 before Scotland finally managed a breakthrough before the break through a 35th minute try from Stuart McInally. The game turned on its head in the third quarter that saw Townsend's men make one of the best comebacks ever with tries from Darcy Graham (47' and 57'), Magnus Bradbury (50'), Finn Russell (60') that saw Scotland level the scores 31-31. By the 76th minute, Scotland went into the lead for the first time in the game when Russell intercepted a pass from Farrell before Sam Johnson shredded off the tacklers for their sixth try to make it 31-38 before Ford's last-minute heroics helped England salvage a draw.